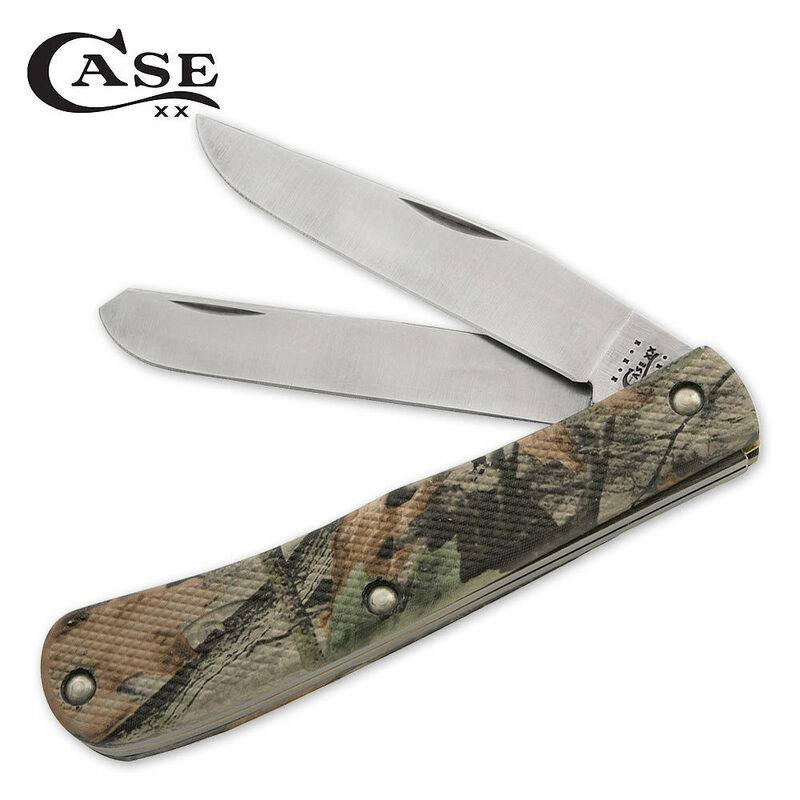 Case Camo Lightweight Trapper | BUDK.com - Knives & Swords At The Lowest Prices! Outstanding in its field. And in the woods. When you&apos;re out in the field, you&apos;ve got little margin for error. Designed for everything that could go wrong—or right, for that matter—the new Camo family has super-sturdy handles made of grippable Zytel™ plastic, a tough material that stands up to anything. The Case Trapper features signature Case Tru-Sharp stainless steel as ground clip and spey blades. 4 1/8" closed.